Merchandise is a vital part of a film’s marketing process. Why? because it allows the audience to be part of the film experience, to own something that has a finite amount of time in the public arena but be part of someone’s private life forever. Merchandise creates memories and later when seen or touched again recalls those memories to mind – a wonderful moment where you enjoyed an experience so much you were compelled to buy a piece of that film’s history. 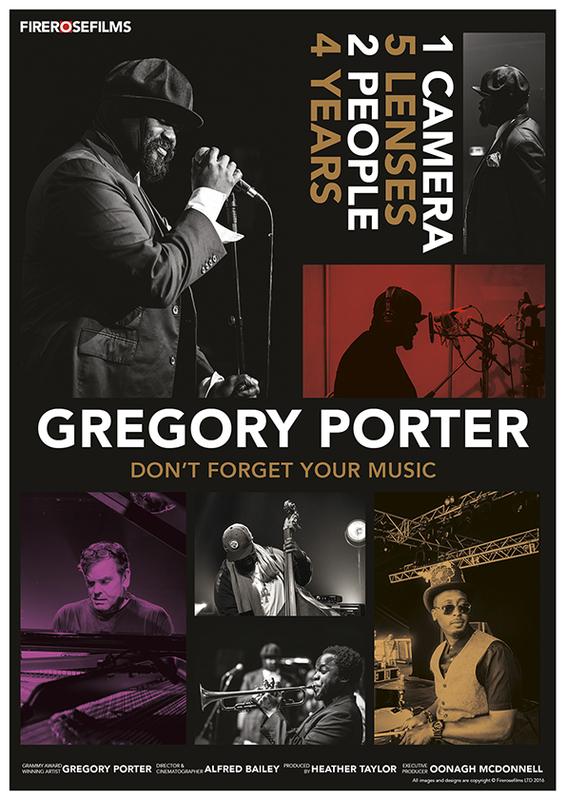 The Gregory Porter: Don’t Forget Your Music film documentary, which is out later this year, is no exception. However, what was important to the team behind the film was to produce a range of merchandise that is meaningful to and engaging for the audience. They wanted to created something that brought the documentary to life and captured the essence of their four year commitment to this project. 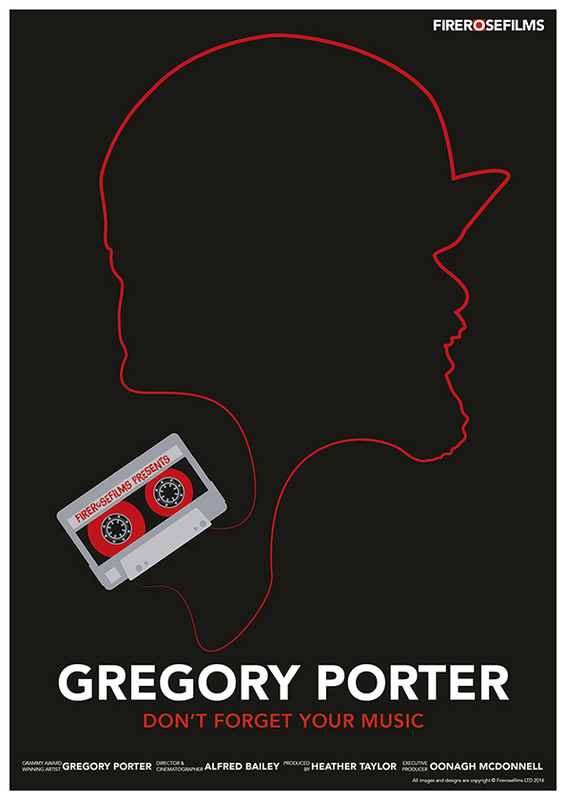 The film is black and white, (trailer), so it was essential to reflect this in the design. The design team looked to the stills taken by Alfred Bailey for captured ‘moments’ during the filming of the documentary. 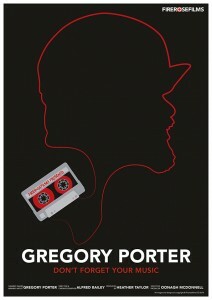 Moments that were full of emotion – joy, stillness, contemplation and the energy that surrounds Porter. 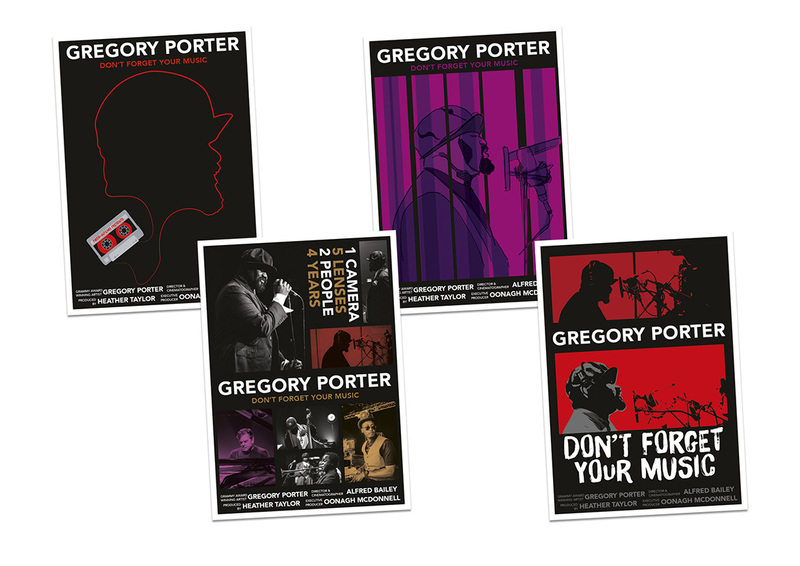 Inspired by the photography, a set of black & white art cards and posters where designed, with exclusive stills taken from the film. 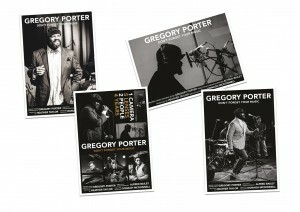 Each art card/poster is a memory and a moment in time captured beautifully. 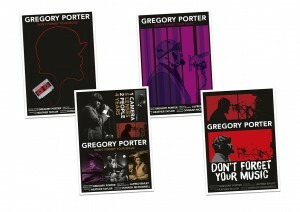 The design team then wanted to create something that would reflect the jazz genre and the brand design of the film. 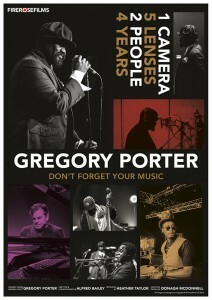 So they looked at the graphic design of the 60s jazz scene and capturing the energy of the man himself. A second set of art cards, was designed to bring all of this to life, the work also highlighted something of Gregory’s that is becoming the sartorial icon of his look – his Jazz Hat. Using vibrant colour and an iconic silhouette the team have created a very special set of merchandise for the film documentary. Finally, it goes without saying that every film has a lead piece of marketing collateral when promoting – a hero shot. When pulling all the information together during the design process, one piece of information kept shouting out at the team and it became the film tagline – 1 Camera, 5 Lenses, 2 People, 4 Years. This tagline was tied in with the shots of the band and the man himself to become our hero film poster.